﻿ Ly Hour Guesthouse, Stung Treng | FROM $7 - SAVE ON AGODA! 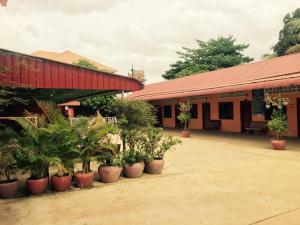 Set in Stœ̆ng Trêng, a 10-minute walk from Stung Treng Samaki Market, Ly Hour Guesthouse offers a ticket service and free WiFi. All rooms boast a flat-screen TV with cable channels and a private bathroom. At the guest house, each room is fitted with a wardrobe. Guests at Ly Hour Guesthouse will be able to enjoy activities in and around Stœ̆ng Trêng, like cycling.